Mid Atlantic Community Church is a place where “Friends Become Family.” MACC is dedicated to being a friendly place where the love of God is experienced by all. We are committed to helping you find a place in the family of God. Services begin at 9:15 and 11:00 AM each Sunday and typically last for an hour and 15 minutes. Every Sunday, our worship services are filled with contemporary music, relevant messages, and loving community. 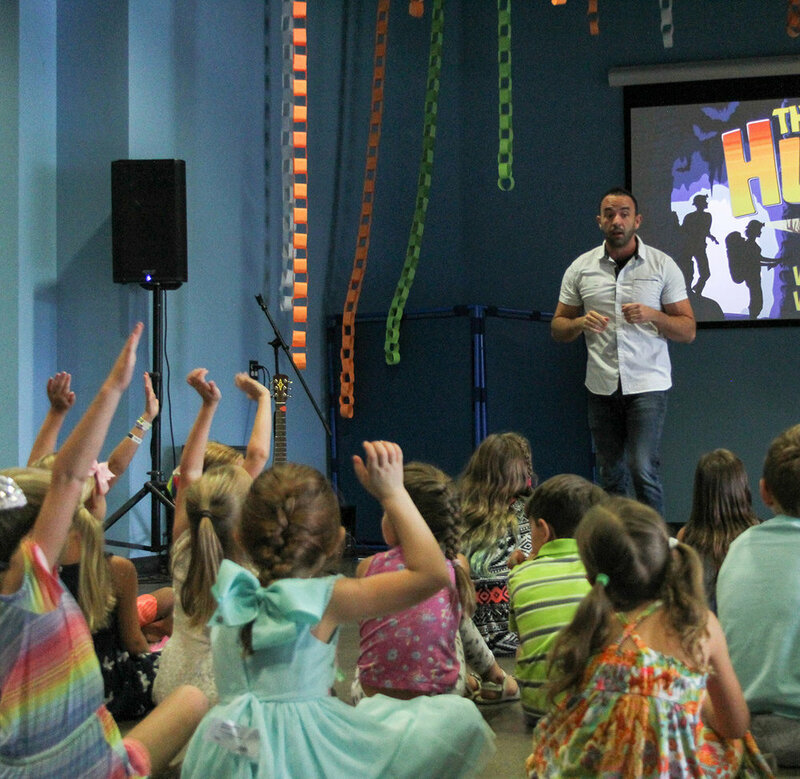 At MACC Kids we want to present God’s Word in exciting, loving, and impactful ways. Our staff and volunteers are committed to providing a safe and caring environment where children can have fun as they learn! We offer nursery care, preschool classes, and elementary programming during the 9:15 and 11:00 services. At REVO Student Ministry, we strive to create an environment where students can know and follow Jesus. We want to be a place where students can GATHER with their peers, GROW in their walk with Jesus, and then GO serve others. Services include a time of worship and teaching from one of our pastors. The worship music style is contemporary led by our praise team. The teachings from our pastors are Bible-based and Spirit-led. Subscribe to our Pastor’s Note and receive weekly email updates about what is going on in our church family.